This level have easily diffuclty as you just need to make 12 striped candy with breaking few blockers and chocolates. You should just try to make striped candy as you will break them it will automatically break chocolates and blockers. You should also focus on balancing the Odus owl while breaking lot of striped candy and try to get three star score if you lot of remaining moves. 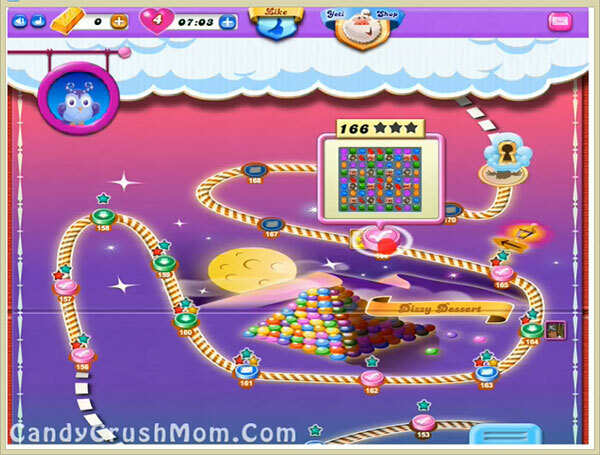 We completed this level with 153380 score by using just striped candy and got three star score at the end of the level.